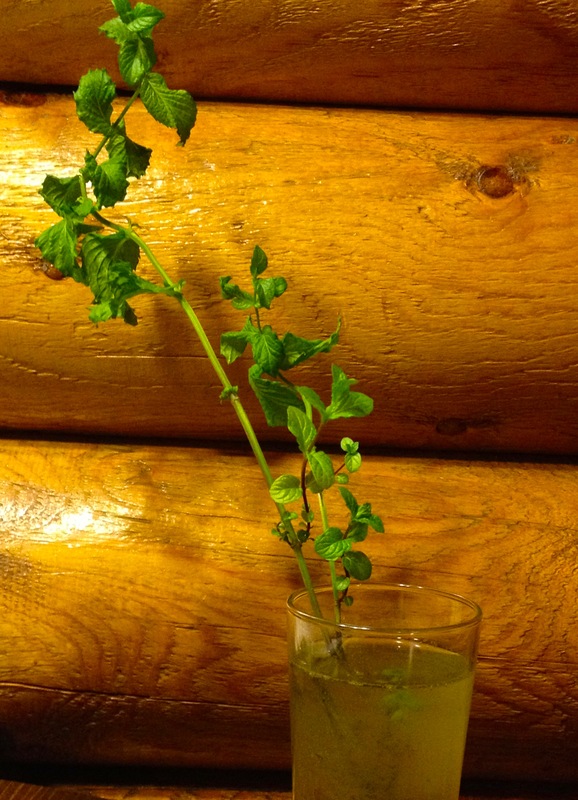 My husband and I have been marveling at this sprig of mint we bought 6 months ago in July. We purchased it to use in my father-in-law’s wondrous mojitos, placing it in the shot glass we received as a favor at a friend’s wedding. It is still there. Growing. Rooting. Flourishing as much as it can in a tall shot glass filled with tap water. Tonight, as I was chopping celery for dinner, I wondered if you could easily regrow celery leftovers in a sunny window. Turns out you can, along with a number of other kitchen oddments. It makes a lot of sense to me–and even better sense if you start with organically grown kitchen scraps. Have you had success re-growing your kitchen scraps? What have you tried? Do you have any tips for me? This entry was posted in Gardening, Wellness and tagged celery, frugal kitchen, garlic, ginger, indoors gardening, Kitchen, kitchen scraps, mint, recycling, regrowing, romaine. Bookmark the permalink.